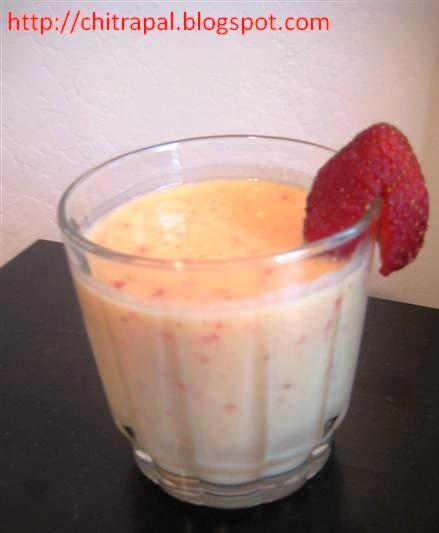 Blend diced Strawberries, Mangoes with Ice. Now add sugar slowly and blend till it is mixed well. Now pour into chilled glasses and serve with strawberries garnished. Wonderful yummy combination drink thanks Chitra. Attention Chitra Pal, Thanks for providing me address of website "whatiscookingamerica", while giving me the answer to my question about "Baking Flour". That site is really wonderful, though I opened it for few minutes only to check answer to my question. Thanks a lot for same.